Audio: "Contemporary Improvisation” recorded live at Yauca, Toronto, ON. 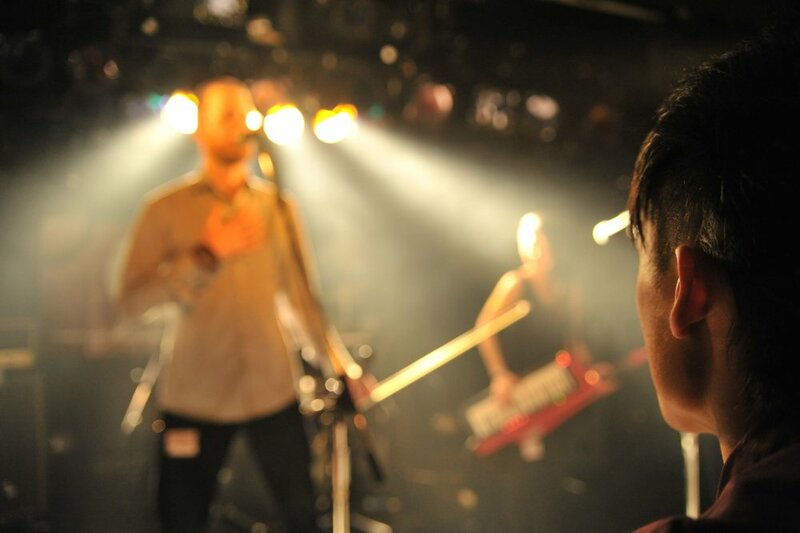 Video: “Listen” recorded live at Emergenza, in Shibuya, Tokyo. Drums + Roland Octapad: Chrs L.
Dear Sarah and Ben. For over 35 years music has been a central figure in my life. I feel like I would provide unique assets to your program. I have a keen interest in working in a chamber music environment on viola, fostered by experiences in string quartets throughout my university performance career, sandwiched in between rock collaborations in high school and following my Master's degree. 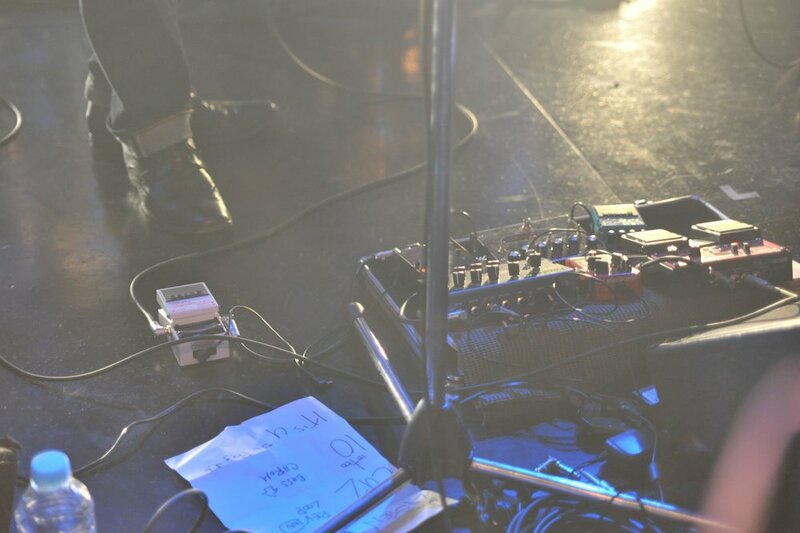 I have multi-disciplinary experience: Master's level viola, 3.5 years with electric pop rock band Tokyo, 2 years with 14 piece stage show in Toronto. After 8.5 years living abroad in Asia, I have a more sensitive understanding of the enormous world outside of Canada and a exponentially growing interest in other cultures. I am Bilingual, speaking French and English and have beginner Korean and Japanese skills. My semi-professional photography skills may also be very useful to you. The last 11 years have been continuously in flux for me and music has kept things mostly stable. Least expected informal jams have become more rewarding than the most high level classical performances that I once obsessed about. It is for this reason that I became very excited when I saw Ben's post on a musicians group of which I am a member. Networking with other musicians can only lead to more creativity, sometimes years down the road and I crave this. Whenever I realize I'm in a dark stretch in the forest, making music with friends or strangers is the natural medicine that heals. It heals me and audiences I share with. I wish to learn from the experience others bring to the festival as well as give back which rejuvenates me. I can help others grow and understand the performance scope of upper strings and it is my hope to shine more of a soloist light on the viola's capabilities, most often considered a bridge or liaison instrument. Building on summer festival experiences with NYOC and in Banff, Colorado College, Casalmaggiore Italy, Orford and CAMMAC Quebec, my 40 year old soul and 8 year old cavernous gorge of creativity would thrive in your residency with other avid creators. 1) Poi Spinning: Making warming up the body fun and challenging. I suffered a serious playing injury in 2000 and recovered. Poi spinning is a great way to develop co-ordination and warm the body before practice sessions and is brilliant and inexpensive fun. Centuries of pressure is slowly releasing on stories and experiences shared by women. In a time when change is needed, and men can have the most power for creating change. What is the best way to help women share experience and have men be receptive and motivated to change is a complicated recipe. I would plan to share stories I collect from my female peers and the last 1/3 of the session be dedicated to letting men who attend listen ONLY and have some women share their stories, creating a positive trajectory for the rest of the week of collaboration. Living in nature is a personal life goal, so any opportunity to be closer to the forces that we depend on for our life is always welcome. The idea of a residency in my province is also a concept that I had never considered having been used to travelling a long distance in the past for experiences of this kind. Live collaborations with limited advance preparation will challenge me to sharpen my skills and work collectively with other creators. I love the idea of enhancing musical awareness in another community and strengthening the value of music and the composing of music as an art form. I'm looking forward to hearing from you about the potential to collaborate. I hope to push the boundaries of what the public considers great music. I want to surprise the audience, and maybe even fellow residents, with what is possible in a performance. For example, working with a very limited set of timbre but maximizing creativity with those resources. As mentioned before, I have a gentle agenda to feature the viola at some point. Any opportunity to incorporate my passion for photography as a mixed media component would also be of interest.